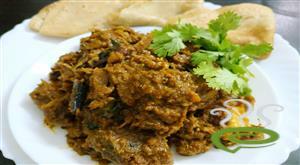 Kerala style Nadan Beef Curry : Beef dishes are an all-time favorite among Malayalees especially Christians. Festivals like Easter and Christmas are never complete without beef curry dishes. 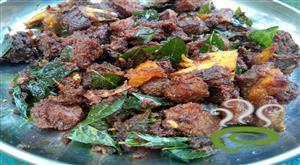 Nadan Beef Curry is one such delicacy that goes well with appam, puttu, tapioca, chappati and rice. 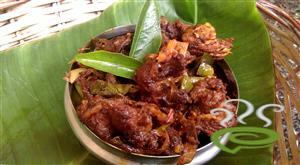 Here is a simple version of a delicious kerala beef curry cooked in nadan authentic kerala style. Beef pieces are cooked in a fried red chilly mixture. 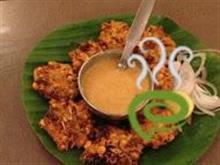 The tempting aroma and spicy flavor of this Thattukada or street side fast food, is worth a try. 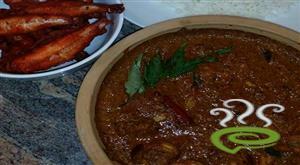 Sauteed with fried onions, ginger and garlic, grants Nadan Beef Curry the rich tempting aromatic flavor. Our Kerala Nadan Beef Curry recipe is well illustrated in simple steps and the ingredients are clearly specified. Fry the dry red chillies and keep aside. Fry coriander seeds, till its aroma comes out and keep aside. Fry black pepper, cinnamon sticks, cloves and cumin seeds together and set aside. Stir fry pearl onions, till they turn brown. Blend all these fried ingredients in a mixer grinder. Pressure cook chopped beef with turmeric powder, salt and the blended mixture. Stir fry onions in the pan, till brown followed by green chillies, crushed garlic and ginger and chopped tomatoes. Add these to the cooked beef and boil well. When the curry turns brown, turn off the flame. 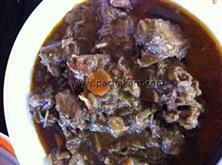 Garnish Nadan Beef Curry with curry leaves, coriander leaves and a spoon of coconut oil. Enjoy the Kerala Nadan Beef Curry with porotta or chapathi or rice or tapioca. This is super recipe.. Thank you. WOW...You must try this. I am a teenager and had tried it. Really tasty! Thanks for the recipe..was really great. 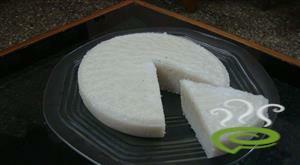 Made this for husband who is a malayalee. He absolutely loved it. Will definitely be making it again. Fabulous recipe! It came out really delicious. I realized that I did not have tomatoes and used capsicum instead. A tiny amount of coconut milk helps a lot to enhance the flavor. Great recipe.. excellent. It is exactly like the one we get in kerala. Thank you for sharing the recipe. I tried this and it was fantastic. ..I am a guy, when my mom is sick im in charge at the kitchen. I made this by following exactly like above and it turned out pretty good. I couldn't believe that I made this by myself, and to tell you the truth 2 or three ingredients were missing from above list but still it was good on my taste buds. great curry, have recommended to family.. dont need pressure cooker, works great on hob. delicious! My first experiment with beef. Left my relatives licking every last drop from their fingers. It was excellent, I made some modifications to the recipe like a pinch of nutmeg & 2 cardamoms in the ground mixture. Also spluttered mustard before adding the onions.... it smelled wonderful too. Awesome!!! Do you have anything similar for chicken :) ? Followed to the letter, great!! low on fat! Thanx a lot for the recipe.I was searching for beef curry recipe.It turned out good.I never made a beef curry befor.Expecting more beef recipes. Thanks for the recipe. I tried this, it smelled very good. 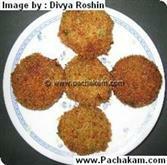 i have not yet tried out this recipe, but i am replying to the questions that Nandakumar has placed. there is no need to put water when pressure cooking beef as there is water in it already and the beef will get cooked in its juices itself. Veal needs 20 mts for cooking( put on high fire, wait for one whistle, reduce the heat and cook for 20 mts) and normal beef needs 25 to 30 mts for cooking after 1st whistle. Normal beef is preferably used for making the classic beef fry, as it is tough meat (and it usually gets stuck in between the teeth) whereas veal is used for making curries (as it is the meat of a young calf). I hope i have cleared all your doubts. 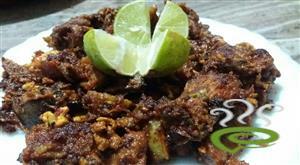 Please try out the classic beef fry placed in this website, it is delicious. If there were more than 5stars to rate this recipe,i would rate it as 10 satrs!its TOOOOOOOOOOOOOOOO GOOD! !i tried it ysdy and it turned out so well!my hubby and daughter relished it.thanx a lot for the wonderful recipe,please do post more of ur recipes you know.it will be very helpful for girls like me to learn new recipes who are new to cooking area:)Once again thanx for ur wonderful recipe! !please keep posting new ones. How much water should I use when pressure cooking the beef and the mixture? Also, how many whistles should I wait for? How/when do I know the beef curry is done and ready? Thank you, really novice cook here, please excuse the dumb questions, any answers would be welcome. This is the best beef curry recipe i ever found in my life. It comes out spicy but its worth it. You will crave for more and more. When i make it even my 5yr old son loves it, and doesn`t mind the fiery taste. Yummm!!! You sure are a fabulous cook. This recipe deserves A+ ratings. Keep up ur good culinary work. Good curry.. very nice site for girls away from their mothers. Thank you. I tried it. It came out really nice.